The Claret Hopper is ideal for reservoirs, lakes and small stillwaters. It will fish deep in the surface film, often hanging by Surface Tension right underneath it, and this is exactly where it should be. There are not many splashy takes with these flies, just nice confident slurps from brown trout. 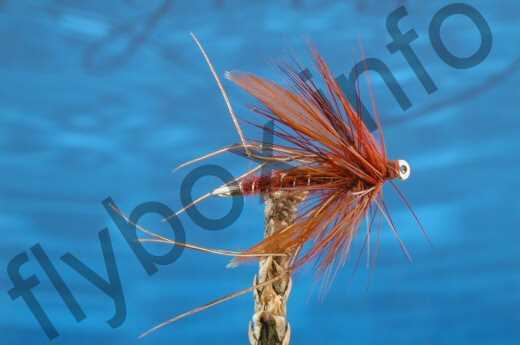 Currently there are no comments about the Claret Hopper fly pattern from other fly fishermen yet.